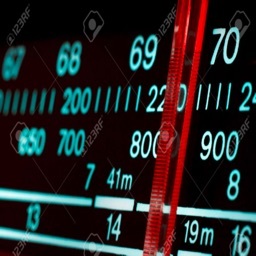 Are you a shortwave radio listener (SWL) in need of an up to date set of schedules for international broadcast stations? 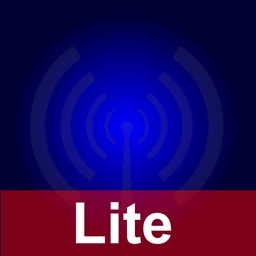 Shortwave Broadcast Schedules is a handy app that displays broadcast schedules of about 11,000 longwave, mediumwave, and shortwave broadcast stations. 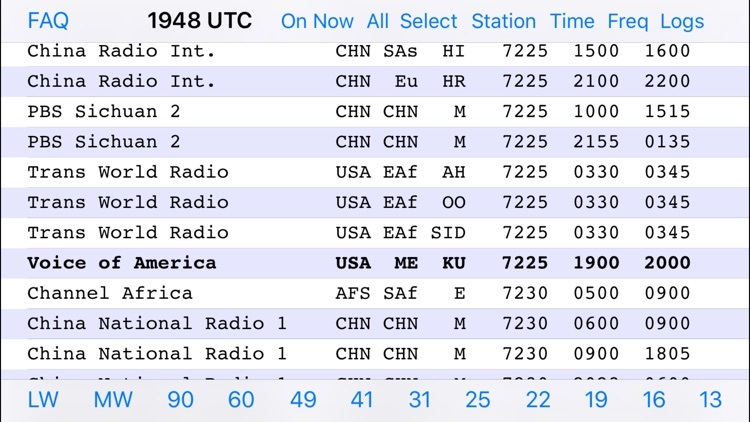 The stations are initially listed in order by frequency. 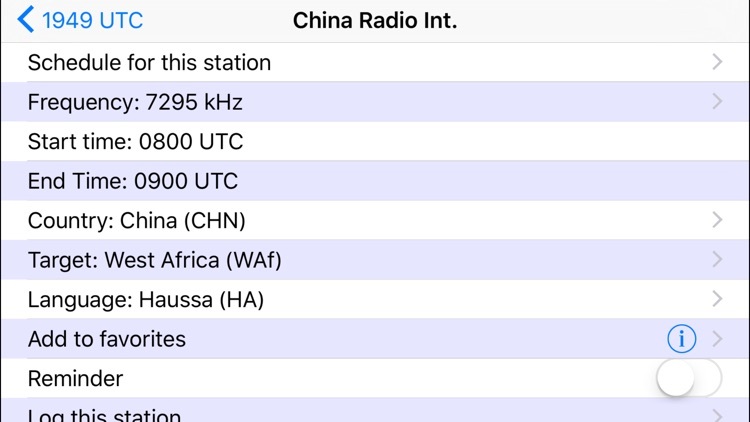 You can tap a button to see which stations are on the air right now, as well as search for stations by name, frequency, time of day that they are on, or select by language, target area, or country of origin. Stations currently on the air are displayed in bold, making it quick and easy to see which stations are on right now. 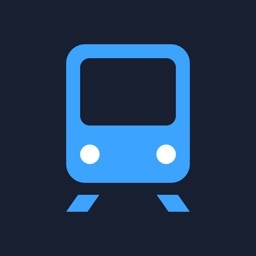 The app can keep a log of stations you have heard, with the date, time, frequency, SIO, and other notes you wish to enter. 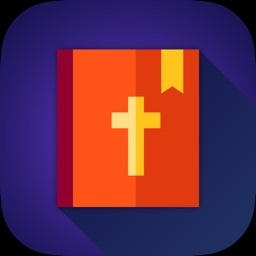 Now your device can be your personal logbook! You can keep track of favorite stations, as well as set reminders for favorite broadcasts, so you’ll never forget about a transmission again. Tap on a station to bring up more information about the station, such as the country of origin, target area, and programming language. 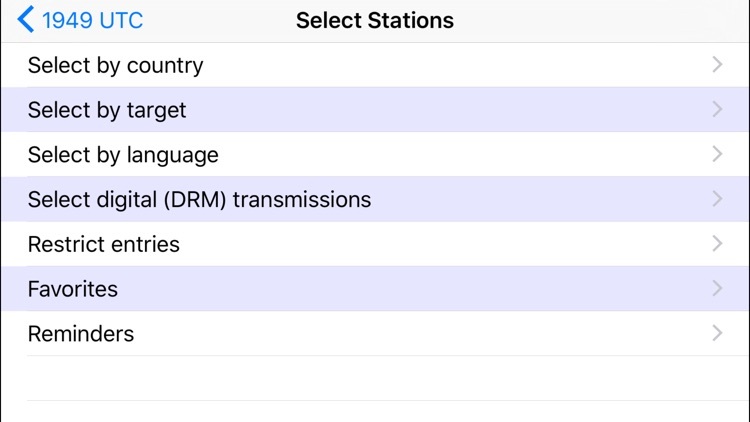 When viewing the details for a station, you can tap on the frequency, country, target, or language to get a list of all other stations with that matching value. You can also tap on Schedule to see all of the transmissions throughout the day for this station. 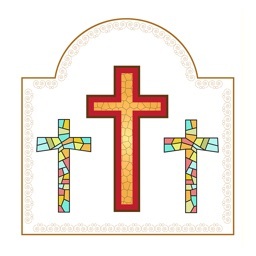 Updated schedules can be downloaded for free. Get your copy of Shortwave Broadcast Schedules, and never miss listening to another of your favorite stations again. 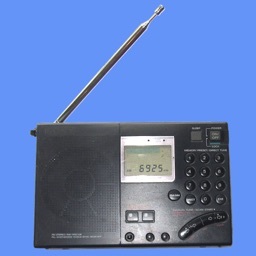 Note: A shortwave radio is required to listen to the broadcasts.